City Comptroller Scott Stringer also calls for free transfers, expanded service in outer boroughs. 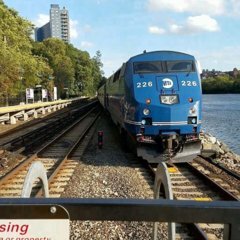 Dramatically reducing LIRR and MetroNorth fares would help riders in outer boroughs who live near stations and only need to travel within the city, says City Comptroller Scott Stringer. Photo Credit: Newsday/J. Conrad Williams Jr.
With the growth of outer-borough residents and jobs — and amid the height of a subway crisis — the MTA must overhaul its railroad service in order to better serve New York City commuters, Comptroller Scott Stringer said Tuesday. Stringer, backed by other Queens officials, released a new report endorsing an idea that has floated around the New York City transitsphere for years: Cut Metro-North and Long Island Rail Road fares for city commuters in order to maximize the systems’ capacities and cut travel times for some of the 1.4 million outer-borough residents who live near the railroad stations and only need to travel within the city. The city comptroller said exorbitant costs of the railroads have created a classist, “two-tiered transit system” for wealthy suburban commuters, while city residents are forced to save money and stuff into overcrowded subway trains and slow, unreliable buses. He’s calling for the MTA to set LIRR and Metro-North fares for trips within the city at subway and local bus rates, now $2.75; provide free transfers for those commuters between subways and buses; and to run more service to the 38 railroad stations in the Bronx, Brooklyn and Queens. The program would cost the MTA $50 million a year to operate, according to the report. MTA chairman Joseph Lhota issued a statement in strong opposition to the plan, citing the financial struggles at the agency. He also disagreed that there was enough spare railroad capacity for additional riders. Stringer argues that there is enough empty space on railroad trains to absorb the added borough commuters. The average LIRR train heading into Penn Station each morning rush hour is 79 percent full, with 233 empty seats, according to Stringer’s report. 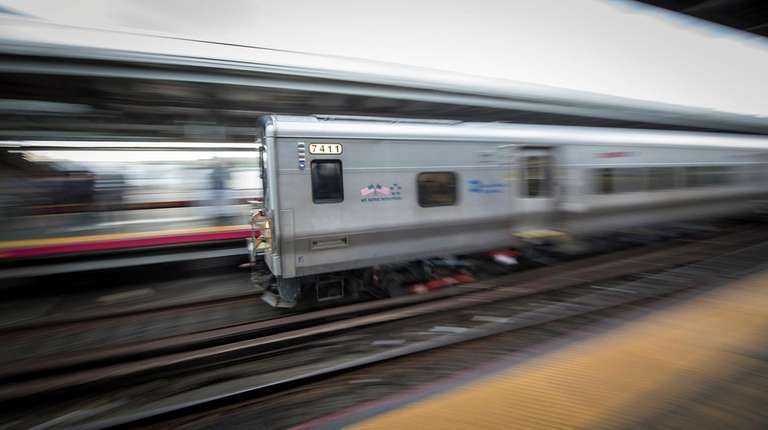 And each evening rush, the average LIRR train is 75 percent full with 282 available seats. The MTA is currently running a similar, 10-station pilot called the Atlantic Ticket, which offers reduced fares for city commuters near LIRR stations. A one-way ticket price was set at $5, a 51 percent discount from the current peak fare of $10.25, and 33 percent reduction from the off-peak fare of $7.50. It likely is. Lots of lip service going on around here. Is the City willing to pony up the estimated $50 million dollars? Doesn't seem like it. Stringer is just angling to become mayor. I'm all for using the extra capacity on trains, but the idea of making all intra-city rides $2.75 is ridiculous. Plus, all those extra people would slow down boarding and extend run times. The scale being suggested here is too big. That being said, I very much want to hear MTA data on the Atlantic Ticket project soon. That project makes much more sense in terms of scale and capacity. Maybe make the intracity trips $6.50 like the express buses? Since no-one uses the middle seats, they should be removed, and the aisles should be widened and poles should be added for people to hold on to. When LIRR trains and MNRR trains are packed, and you want to get out at a stop, it is really hard to get through the aisle. This would increase capacity. It is clear that he wants to run for mayor, and that he didn't think this through, but I completely agree about making all rides in NYC $2.75. Ridership on transit would go up significantly, neighborhoods would be more accessible, congestion would come off the roads, etc. Infrastructure investments are necessary, such as longer platforms, higher-capacity train cars, higher terminal capacity through layup tracks, and what a lot of people forget, is access to stations. It is very hard to get to some stations, such as Queens Village on the LIRR. While I don't mind lower fares, I don't support commuter trains being turned into subways. They are commuter trains for a reason and should remain as such. The idea of using commuter rails to do the work of subways is foolish. No one uses the middle seats because of the lack of leg room. If they increase the leg room, all seats could be used and of course you would likely have fewer of them, but still. I agree with the rest of your comments. Another one of the term limited politicians angling for newspaper coverage on a subject that he or his staff know nothing about as I seriously doubt if they ever ride the railroad except when it is for a photo op. That said,, I note that Scott Stringer is totally clueless when ti comes to providing an estimate as to how much it is going to cost or where the MTA is going to get the money that it needs to keep the system in good shape. He perpetuates the myth that the system can do everything but where is the money coming from? He will be one of the first to tell everyone from here to Albany that there is no more money available for transit right after this year's election is over. At least the members of the Forum are a lot smarter than the Comptroller as when it comes to an idea such as this, the members can provide a better solution based on reality. It is too bad that the comptroller wasted tax dollars on something that he knows that the city did not have the money to pay for it. I think you could walk a fine middle line. Simply have all suburban trains skip in-city stops except the major ones (Jamaica, Fordham, etc.) Run extra service as, essentially, express subways, terminating at Valley Stream, Queens Village, Great Neck, Yonkers, etc. After all, that is what BART in the Bay Area is. There are quite a few more issues than that. Current LIRR trains at Penn Station take more than two minutes for all the passengers to exit the platform, which would be extremely dangerous for a subway service. LIRR trains don't have enough doors to allow lots of people to rapidly enter and exit the train, and the staircases at Penn are narrow and too few in number. And we just replaced most of the entire LIRR fleet, so are we just going to throw out perfectly usable train cars? I'm all for better coverage. Short turn trains could better service the outer area's. Mount Vernon to GCT, Yonkers to GCT. Would have been nice to maybe retrofit and rebuild some of the older M1/M3 units. For this type of service. Have the trains coming from Further Out run nonstop to Harlem and then GCT. The one thing that I question is I thought the said that they were tight on train sets as it is? Where is the extra trains to run such service supposed to come from? And the money...?? We always get into this.. but come on it's the chicken and the egg situation. The MTA may not make the money directly and right away but you know the Economy and State will benefit greatly which is all this is all about anyways. 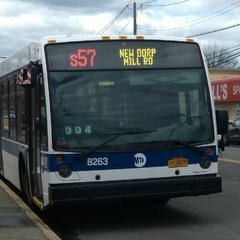 New York will make it's money back.. Take some of those M2-6's and referb them for this type of service. They'll still be tight even with new cars because while the LIRR M9's that are being delivered will be plenty for today, there will be expanded service to GCT, the third track on the Main Line, and the expanded Port Washington branch service to LGA Willets Point 5 years from now. Meanwhile, MNR's M9 batch isn't even accounted for, and the diesel fleet is due for replacement (and breaking down semi-constantly) also, so the equipment situation ain't gonna get any better for a while. Why don't they just take the short turns on the lines now and convert those to stop in the city, as well as add turnstiles in the city stations? You then wouldn't need conductors to collect tickets and only for the doors, which can help cut down costs. For example, you could install turnstiles at every station between Crestwood and GCT, and then run some local trains between to allow for city trains. For the Hudson you can do the same up to Greystone, and for the New Haven New Rochelle. The thing is, you could do that today. Across the entire system. With next gen payment you could easily put a bunch of SBS type machines or smartcard readers along the platforms, and have the SBS style honor system. Of course, the question is what you'd do with the rest of the conductors; such a thing would easily lead to a strike. Conductor #s should be decreased as we debut a new fare payment system- you'd still have them open the doors, just not collect tickets. We should look to automate all shuttles and de-interlined lines that don't split ( , , all ) and implement OPTO on others that are lesser used like the . NOTE: None of these jobs would be downsized with layoffs, you would just reassign people under 40-45 while people above can keep that job until they retire. Londons already doing this doesn't have to be too complicated. Contactless payment will take most of the guesswork out. The overground is a mix of Turnstiles were it shares stations with Underground service like on the Bakerloo and District up near Richmond. And then they have validators at other stations where it shares track with National Rail beyond Harrow going up to Watford. Metro-North could use card validators at stations think of it like an SBS ticket machine that you tap quick to deduct fare. Better interoperability for Stations like Yonkers, Fordham,125th, New Rochelle were both services share a station. The other side of the coin is GCT there's enough capacity to Convert and assign a few lower level platforms for City service. Trains coming into GCT would use these Platforms. Mount your Barrier turnstiles there to Validate fares with a machine or two for cash just in case. Pay to get in/out there. The question that needs to be asked is frequency it could never be subway headways. But what are we talking about Every 10-15 mins at peak? Berlin's S-Bahn has most lines running at 5 or 10 minute frequencies throughout the day. The issue with NYC commuter rail right now is the infrastructure. Yes, we have zillions of tracks, but with the exception of VERN, HAROLD, JAY, and HALL, all interlockings on the system have yet to be grade separated. Similarly, all terminals currently require ridiculous against-the-current-of-traffic crossover moves, and rarely have any pocket tracks between the tracks moving in either direction where you can turn. Then there's the issue where we run express service on the same tracks as locals, meaning signal spacing gets wonky and locals have an outsized capacity impact. Point being, without modifications to this infrastructure, you're pretty much stuck with the frequencies we have today. I think all said investments (along with core improvements to allow through-running) are justified, but it's a matter of priority and politics. Let's say Metro-North was a phase one for this type of service I think it would be a bit easier Grand Central should have the extra room maybe Dedicate tracks 114-117 for City service? Dont think there as many crossovers on that side just the Hudson split near 149th and Woodlawn already has a flyover. The LIRR would be a bit harder with Penn Capacity but I feel success on the Metro-North end would drum up support and push for Queens and LIRR investment IMO. It's almost like the commuter rails of the 1900s weren't intended to be an intracity people mover. There are two problems with that. The first is that even using the westernmost tracks, they would eventually merge back into tracks 2 and 4, the inbound express and local tracks. These new city shuttles would still get in the way of other commuter trains, more so for Bronx-bound locals running against traffic. Secondly, due to East Side Access, Track 115 is the westernmost track still in operation for Metro-North on the lower level. Everything else west of that has been or is in the process of being demolished to create the LIRR concourse. I mean if you assume we can operate fringe terminals/zone express service properly, then the issue becomes that literally every terminal in the core is operated as a stub. Even if it is just through running NJT/LIRR diesels at Penn, I think that if we are to have any hope of real regional rail service, there must be an effort to do suburb-to-suburb running, if for no other reason than it increases core capacity. I also think that this issue is being looked at the wrong way. Enough “commuter rail for the city” BS. That’s just perpetuating the arbitrary NYC/outlying county divide. We should be looking to do what MNR does on the NH across the whole system — run high density, high capacity local service for all inner-ring stops (and match fares to a price point that doesn’t make me want to not eat lunch that day while we’re at it), and then run through express service from outlying areas on separate tracks. So, to indulge the foam for a second, extend the 3rd and 4th Babylon tracks as far as, say, Freeport or Bellmore, running locals to whichever town becomes the terminus, and expresses through to Jamaica from there, stopping only at Lynbrook. Continuing with this flight of fantasy, we’d build out the Central Branch and create a terminal facility near 110 or in Wyandanch, running locals from there to the city via the Central, and expresses stopping at Hicksville via the 3rd track. We would, of course, grade separate QUEENS in the process. Do that and normalize signaling, and you’ll have plenty of capacity to work with if you want to increase ridership. I think that if we are to have any hope of real regional rail service, there must be an effort to do suburb-to-suburb running, if for no other reason than it increases core capacity. I was under the impression there were switches on the Lower level and ramps that would allow trains to cross under without blocking oncoming traffic. I need to take a look again at the terminal track map. Secondly, due to East Side Access, Track 115 is the westernmost track still in operation for Metro-North on the lower level. Everything else west of that has been or is in the process of being demolished to create the LIRR concourse. Gotcha Id still argue their room on the lower level eastern platforms? Ultimately the classically trained Engineer side of me totally agrees with you. @RR503 as well she knows her stuff hands down. But the war-torn Battle tested side has to push back a bit only because I know Bureaucracy and the fine dance of getting anything done at all. I deal with both City and State agencies contracts.I know better so does my neighborhood pub after every quarterly meeting with one. So my question is what can we get done with what's available to us right now? And if there a cost how can we angle the perception that what we're proposing is the cheapest it can absolutely be by building on what's there already. These are the types of Phrases and catchwords that make ears perk up. So what's our options? We know the Logic and the obvious isn't an option it's not zero-sum. But staying in the same place and keeping things the way they are also isn't an option. What can we do Short-term? You can cross over to the 'right' side before you ramp up, yes. So ﻿my question is what﻿ can we get done with what's available to us right now? And if there a cost how can we angle the perception that what we're proposing is the cheapest it can absolutely be by building on what's there already. These are the types of Phrases and catchwords that make ears perk up. So what's our options? We know the Logic and the obvious isn't an option it's not zero-sum. But staying in the same place and keeping things the way they are also isn't an option. What can we do Short-term? This is the key question. There's a good bit that can be done with regularizing stopping patterns, operating faster turns, moving to MLV EMUs and the like, but after even a little bit of improvement in that vein, you run up against the ridiculous number of level interlockings and inefficient terminals that define the system's capacity. So really, to make more than the most incremental of improvements, there has to be a good deal of investment in the base infrastructure. One area where I think the RRs could start performing tomorrow, though, is in off-peak service. The fact that the majority of the NYC regional rail system sees only hourly service on weekends is a crime. I think for transit to be at all attractive in the suburbs, it needs to be a package -- something functional at all times of day. So I'd push for >2tph frequencies everywhere in electric territory from 6AM to 12AM. Otherwise, you're mailing ridership to the roads with a bow on top.